Look and feel like the most beautiful person in the world, with your makeup done by professional makeup artist, Leah Smith. Leah specialises in wedding makeup and she can make you and your bridal party look and feel amazing. With Leah’s high attention to detail and exceptional talent you will get a look that you love that with a look that will last all day and long into the night. Look and feel beautiful at your next special occasion with professional makeup done by qualified makeup artist, Leah Smith. With your makeup done by Leah you can be sure that you will receive the look you want. Get the look you want for your next photoshoot or video. 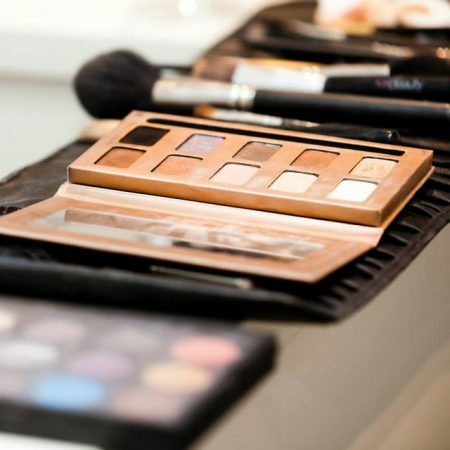 You can relax with qualified makeup artist, Leah Smith on your team. Leah will bring a high standard of professionalism, creativity and skills ensuring you get top quality results. Enjoy a private 1:1 makeup lesson with professional makeup artist, Leah Smith and learn how to apply makeup so you look and feel amazing. Whether you are after a fresh new look or what to learn some specific techniques Leah can help you beautify your makeup look and natural features. Brows are a very important feature of the face. Enjoy a Eyebrow wax and shape and a brow and lash tint by Leah Smith. Leah shapes the brows to frame your face beautifully. Every eyebrow and eyelash tint colour is custom made to suit your face. Leah is a qualified eyelash technician who specializes in individual eyelash extensions. Leah has a exceptional high attention to detail to create a set of lashes to suit your eye shape and to make your eyes pop. Leah uses high quality products to ensure the overall health of your lashes is not affected when wearing or applying eyelash extensions. Classic Lashes $70.00 - One individual lash applied to each individual natural lash. It creates length but does not give volume if you are wanting a fuller looking set of lashes. Russian Volume Lashes $90.00 - a fan of three lashes is applied to each individual natural lash to create a thicker and longer set of lashes. Hybrid Lashes $80.00 (pictured to the left) - Hybrid lashes are a mixture of Russian Volume lashes and classic lashes. It creates a natural set of longer and thicker looking lashes. For more information, to ask a question or to book Leah for any of the above makeup services please contact her. "Thank you so much Leah for the stunning makeup yesterday! It lasted the entire night and the bride looked amazing!"